The Trevi Fountain is especially atmospheric at night. With smart planning you can pack a lot of sightseeing into your Roman visit, but there's no point in overloading your trip — with any luck, you'll keep coming back to Rome. After several dozen visits, I still have a healthy list of excuses to return. Some people actually "do" Rome in a day. Crazy as that sounds, if all you have is a day, it's one of the most exciting days Europe has to offer. Start at 8:30 at the Colosseum. Then explore the Forum, hike over Capitoline Hill, and cap your "Caesar Shuffle" with a visit to the Pantheon. After a quick lunch, taxi to the Vatican Museums, then head to St. Peter's Basilica (open until 19:00 April–Sept). Taxi back to Campo de' Fiori for dinner. Finish your day lacing together all the famous floodlit spots. Note: This busy plan is possible only if you reserve and print your tickets to both the Colosseum and the Vatican Museums in advance. On the first day, do the "Caesar Shuffle" from the Colosseum to the Forum, then over Capitoline Hill to the Pantheon. After a siesta, join the locals strolling from Piazza del Popolo to the Spanish Steps. On the second day, see Vatican City (St. Peter's, climb the dome, tour the Vatican Museums). 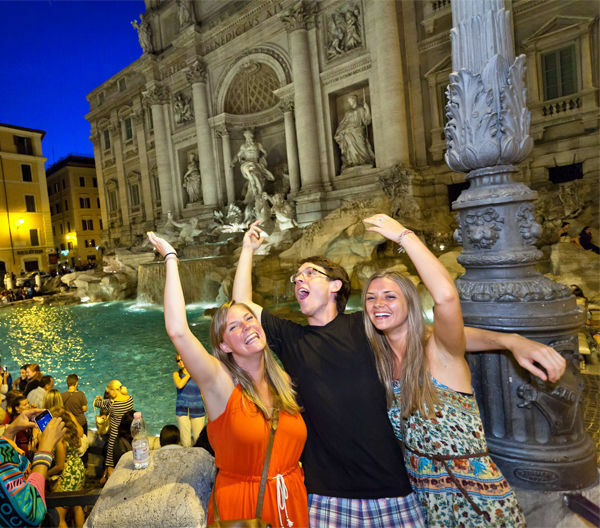 Have dinner near the atmospheric Campo de' Fiori, then walk to the Trevi Fountain and Spanish Steps. 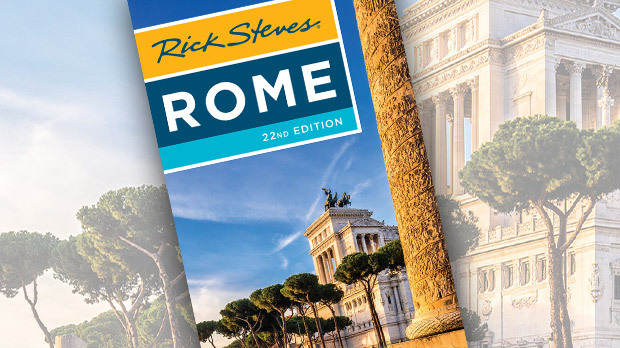 With a third day, add the Borghese Gallery (reservations required) and the Capitoline Museums. Rome is a great one-week getaway. Its sights can keep even the most fidgety traveler well entertained for a week. Do the "Caesar Shuffle" from the Colosseum to the Forum, Capitoline Museums, Victor Emmanuel Monument viewpoint, and Pantheon. Spend the late afternoon doing my guidebooks' Heart of Rome Walk (also available as a free audio tour). While it's an exhausting day, you now have your bearings and have seen the essential Rome. Morning — National Museum of Rome and the nearby Baths of Diocletian. In the afternoon do my Jewish Ghetto Walk, followed immediately by my Trastevere Walk (both walks are outlined in my Rome guidebooks and available as a free audio tour). Enjoy dinner in Trastevere. Vatican City — St. Peter's Basilica, dome climb, and Vatican Museums. Spend the early evening shopping and enjoying the local passeggiata by doing what I call the "Dolce Vita Stroll" along Via del Corso (start at Piazza del Popolo and end up at Piazza Venezia for great sunset views). Side-trip to Ostia Antica (closed Mon). In the evening, you could repeat my guidebooks' "Heart of Rome" walk from Campo de' Fiori to the Spanish Steps to enjoy the after-dark scene. Borghese Gallery (reservation required) and Pilgrims' Rome: the churches of San Giovanni in Laterano, Santa Maria Maggiore, and San Clemente. Side trip to Naples and Pompeii. You choose — Hadrian's Villa near Tivoli, Appian Way with catacombs, E.U.R., Testaccio sights, a food tour, shopping, Galleria Doria Pamphilj, Castel Sant'Angelo, or more time at the Vatican. 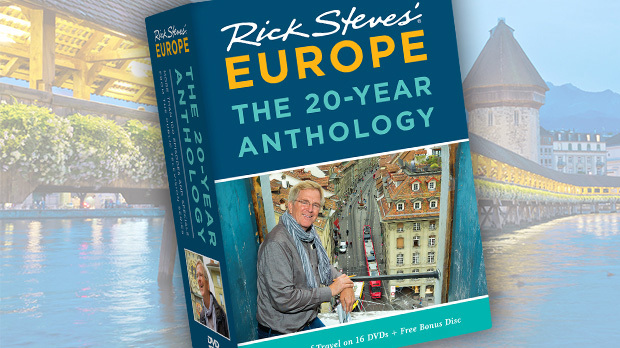 Gene Openshaw is the co-author of the Rick Steves Rome guidebook.